Be One of Jesus’ Disciples? Make a Real Difference in the World. When Jesus selected 12 men from his early followers to become his closest disciples he didn’t select men who were scholars or rabbis or who had “extraordinary skills”. No, he selected ordinary people like you and me. These men weren’t refined, weren’t particularly religious, yet the impact they had on the world was incredible. There’s no doubt about it, the stories of the 12 Disciples can serve as powerful inspiration for anyone who loves Jesus, particularly impressionable youngsters looking for inspiring role models. Unfortunately, the Bible is full of so many great stories that the stories of the disciples can often get passed over in church sermons and Sunday School lessons. That’s why, I’ve created a special lesson pack that focuses exclusively on these disciples and the positive affect they had on the world then and are still having on the world today. 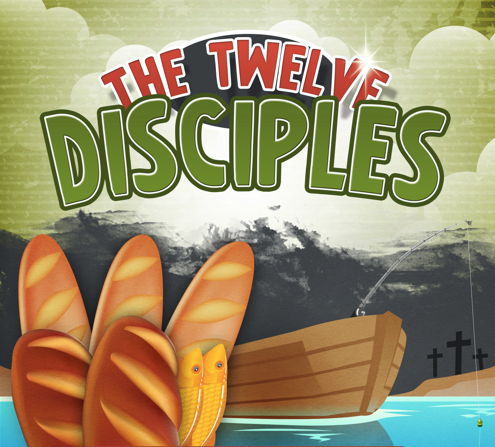 INTRODUCING the 12 Disciples Lesson Pack! What would it have been like to listen to Jesus speak … to see him perform a miracle … to just be near him? Well, the disciples were there and the experience not only transformed their lives but became the impetus that enabled them to go and change the lives of millions of others. Now with “12 Disciples,” you can give your students unique insight into the lives of these men who went from ordinary to extraordinary thanks to Jesus Christ. As the disciples were transformed from confused and frightened men lacking vision to exceptional men who feared nothing for Christ’s sake your students may be transformed as well. As these men went on to transform the world they lived in, your students may be inspired to transform their homes, their streets, their communities. One thing is for sure, your students will learn and grow by understanding the disciples’ fumbling starts and magnificent finishes. What many Christians think the disciples were like … and then what the disciples were really like! How the disciples lived and died for the Kingdom of God, providing inspiration for Christian believers everywhere! Why Jesus picked the men that he did to become his disciples and the exciting implications that has for us today! How the disciples went from being men who were often afraid and uncertain and who often did the wrong thing to being men of virtue and strength who did the right thing – and how we can make the same transformation! How the disciples developed a game plan to take the gospel to every living person and the exciting way they went about carrying out that plan! How the disciples really died – it’s been said that the disciples all died violent deaths because of their faith. Is this true? Find out here! The common ground we all share with the disciples, including our personalities, our lives and our behaviors and why this should give us incredible hope for the future! What the 12 disciples can really tell us about ourselves – and why this is such terrific news! Above all else, through this study your students will understand that the disciples started out just like us – human, frail, immature, without great understanding – and that, like them, we can move forward into the glory God has established for each of us! When we become Christians, some of us are told to read God’s Word. Others are directed specifically to the Book of John or Romans. Others are told to cultivate their prayer lives as a first-and-foremost project. The purpose of any of these or other instructions is this: Get as close to God as you possibly can. In essence, we Christians are striving for the type of relationship with Jesus Christ that the disciples had. Only things are different now. The disciples got to rub elbows with their Master, dine with him, sleep beside him, shake him awake, listen to him teach, and watch him heal people’s bodies, hearts and minds. But one thing studying the Gospels shows us is that at the end of their three years with Christ, they were only slightly less clueless about God’s intentions than they were when they left their fishing boats. It was after the Ascension that the disciples really began growing and changing. It began at Pentecost when the Holy Spirit filled the room, filled the disciples, changing them from students to Apostles. While all of them were so closely bound together, they all went in different directions, to opposite ends of the known world. Their callings were different; their lives were different. Your students will learn how the disciples pursued their mission to grow the Kingdom of God and they will learn that despite our differences we can all play important roles for God. For example, just as there are extroverted students and introverted ones, there were loud disciples and there were quiet disciples and they both used their individual skills to deliver the gospel. The goal of each student should be to connect with Jesus as closely as they can in whatever ways they can. I’ve designed this study so that kids will get a sense of the special relationship the disciples had with Jesus and will want that for themselves. In creating this lesson pack, it was my mission to bring the twelve disciples closer to your students from a Biblical standpoint. The Bible is as relevant today as it ever was, and the Twelve still share much common ground with all of us. Now some of the disciples are recorded as speaking often in the Gospels; some were never recorded at all. But make no mistake the life of each disciple, their journey, their spiritual growth, can be very impactful to us today. In this lesson pack, I tell you a lot about some of the disciples and less about others, but in all cases striving to bring your students closer to the feeling that they genuinely know that person. Certain chapters feature only one disciple, while others feature two who can be compared and contrasted to show the most about them. Each chapter starts by featuring people today facing problems we can all relate to. From that they will get to see which disciple or disciples they mirror. That the disciples are all relevant to today’s people and problems is an important piece of my message. But what we can learn from the disciples is the most important message of all. How to approach God like Simon Peter approached Christ, always being teachable and with a willingness to listen! Why even when we don’t know exactly what to pray, doing it awkwardly or fumbling is better than being silent! How to come to truly rely on the Holy Spirit to guide us through life! Why if you are a quiet type, or at least the type who doesn’t like to be the center of attention, you are just as special and important to the Lord as those who constantly have the mike! How to love your place on a team and feel important no matter what your role! The absolute best way to achieve greatness here on planet Earth! What to do when we suffer through a period where we experience a lack of faith! the Disciples & Jesus Better? So how much would you expect to pay for such a unique & inspiring resource? Well, right now this lesson pack is being featured in our "Weekly Special". It sells everyday for $19.99 (you can verify here). BUT, if you place your order before Midnight EST this Sunday you can take advantage of our special offer and get the 12 Disciples Lesson Pack for just $7. But you must hurry, this special offer is only being made available for a limited time. On Sunday, I will raise the price to the full $19.99 – which I think is still a terrific bargain. 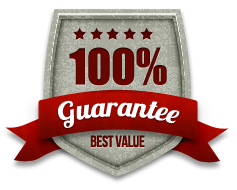 That’s right, I am so sure that you will love the 12 Disciples Lesson Pack that I am offering an unconditional 100% money-back guarantee. If you are not completely satisfied with your purchase, simply notify me within 60 days and I will refund your money, in full, with absolutely no questions asked! That’s TWO FULL MONTHS to put this lesson pack to the test! I don’t think I can be any fairer than that. Either get the information and resources you need to teach children about the 12 Disciples or get your purchase price back! YES, I want in! I want my own copy of the 12 Disciples Lesson Pack that I can use over and over again. Please give me INSTANT access to the material right now! P.S. Some day your students may feel scared, may even doubt God, but by knowing the disciples they’ll already know those feelings are not unusual and can be overcome. 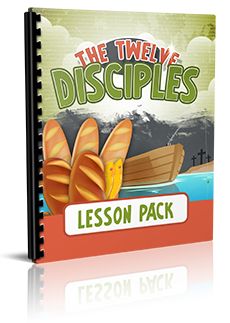 Help prepare your students to have an amazing future, get the 12 Disciples Lesson Pack today. P.P.S Also don’t forget that you are making this purchase at absolutely no risk. So grab this special price while you can! If the 12 Disciples Lesson Pack isn’t everything you were expecting, you can request a full refund.